Pack for Paris, France in the Fall - Hej Doll | Simple modern living by Jessica Doll. The weather in Paris right now is in the high 60’s, with some forecasted rain towards the end of the week. So when I thought about what I’d pack for Paris, layers came to mind. Classic style also came to mind, with a little bit of whimsy thrown in for fun. My favorite items from this list are the studded flats, Féminin clutch, and slouchy stripe tee. I’d also pack a pair of simple black leggings like these as well, because they’re comfortable and work well for layering. 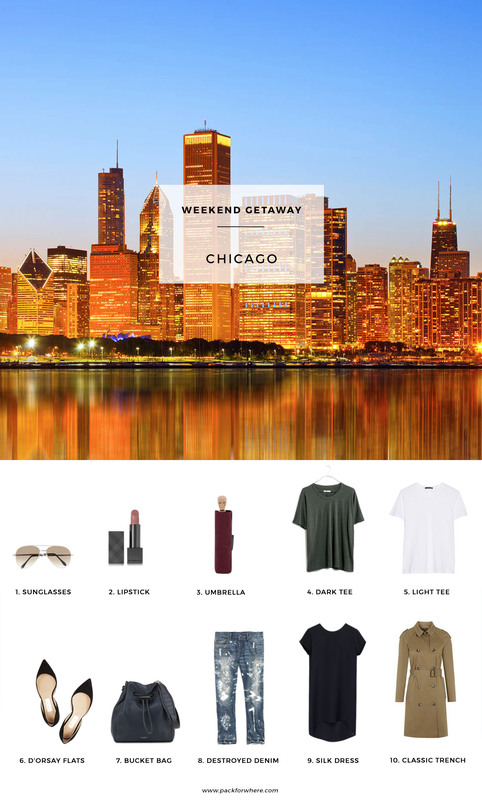 This packing list is for the casual chic traveler, with options to dress up or down. If I were going to a nice dinner I’d pair the dress with booties and the cape jacket. I can’t wait to share the outfits with you tomorrow, which items would you pair together? As always, you can shop the list via the links above, or widget below. Now that you know where to go, and what to pack for Paris, here are some ideas for what to wear in Paris. I’ve included outfits for 10 days, though the packing list is capable of a few more. If you want to shop all of my picks for Paris, click here. Which outfit is your favorite? What would you wear for a trip to Paris?